After Kanye’s massive gamble paid off on 808s & Heartbreak, he began devising a path to reassert himself at the top of mainstream hip hop with a new album. His goal was to deliver a “backhanded apology” with a classic album that was “80/20”; 80% what he wanted, 20% what he thought the fans wanted. 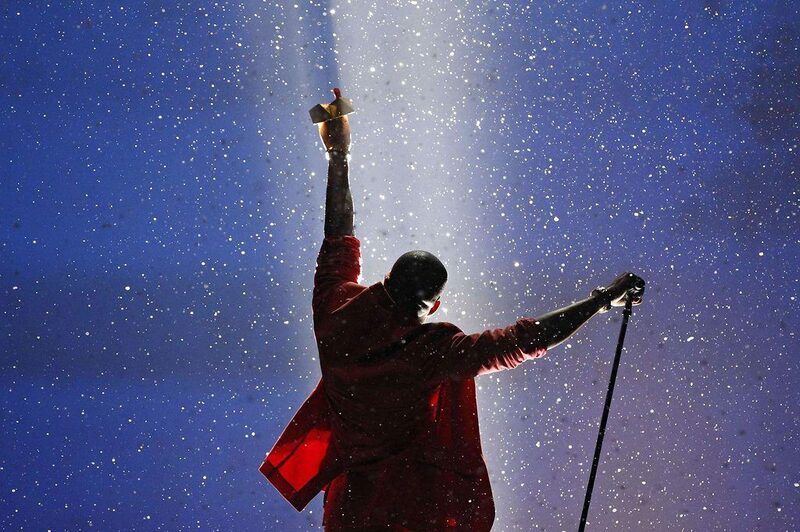 This approach led Yeezy to create his magnum opus: My Beautiful Dark Twisted Fantasy. With Yeezy Season 8 in full effect, Ben “Data Daddy” Carter is taking a closer look at the rollout for every single one of Kanye West’s albums. 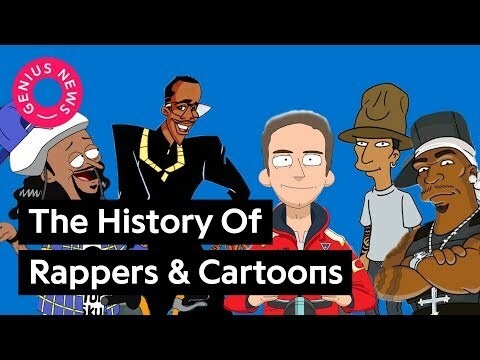 Each era had its own characteristics and promotional strategies that evolved as Kanye himself did. 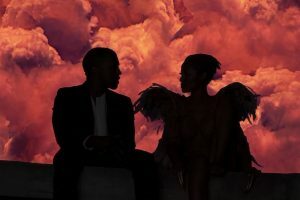 Dive into the data that shows why Kanye’s opus My Beautiful Dark Twisted Fantasy was such a massive moment for hip hop. The rest of the Yeezy Season Series is available here. Why does Kanye still have such a potent platform in 2018? Because he came back, and he used 2010’s My Beautiful Dark Twisted Fantasy as a tool, a door, a path back from a love or hate album (808s & Heartbreak) and an awards show incident with Taylor Swift that drew ire from everyone, a night Ye claims was the “beginning of the end” of his life. The criticism wasn’t just words; Lady GaGa actually cancelled their joint tour. Kanye took a popstar approach to the writing and recording of My Beautiful Dark Twisted Fantasy, grabbing a bunch of producers, rappers, artists and influential people, putting them in a big house in Hawaii, similar to a pop/R&B writers camp. The goal, in his own words, was to deliver a “backhanded apology”, and he did so via a “compromise”, an album that was “80/20”; 80% what he wanted, 20% what he thought the fans wanted. Kanye’s opinion on the album and his intent is clear cut. So let’s dive into the data that showcases the process he went through prior to the album to achieve this intent. *Total words include anything Kanye contributes to a song. A hook, an ad-lib, spoken words etc. Data window is 60 weeks before album release. *Bars are simply the number of lines Kanye raps in each verse he delivers. “The best living or dead hands down, huh / Less talk more head right now, huh” is two lines, so two bars. First, Kanye needed to rekindle the love he received as Kanye the Rapper, a title he established on The College Dropout, and continued to cultivate through Late Registration and Graduation. His departure from rap was acute on his previous album 808s & Heartbreak, a record that featured a staggering 88.3% autotune. So Kanye rapped like he never had before. He dropped more bars and more words prior to My Beautiful Dark Twisted Fantasy than any other album. Kanye featured on 17 tracks and released 16 of his own songs in the 60 day period before the album. He spat bars alongside Nicki Minaj, Lloyd Banks, GLC, Lupe Fiasco, Big Sean, Rick Ross, Kid Cudi, and Consequence. He brought rap to Chris Brown, Justin Bieber, and even Thirty Seconds to Mars. 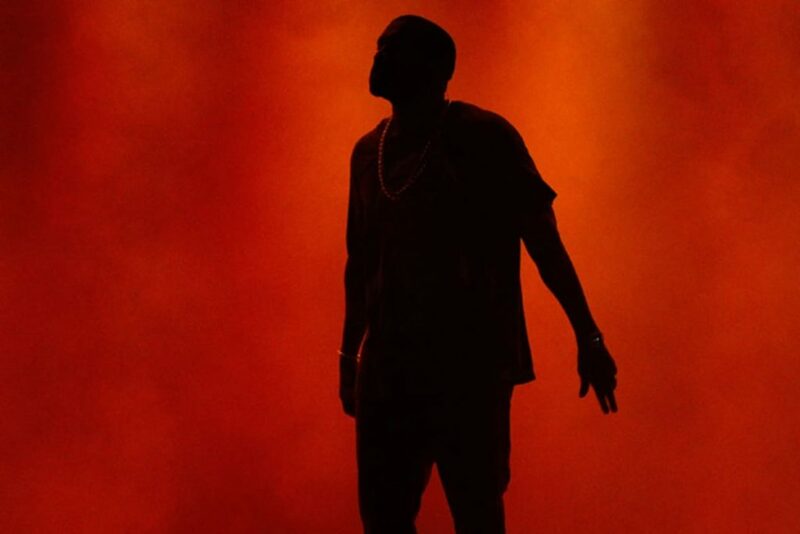 Kanye put numbers on the board by spreading himself liberally around the rap landscape. 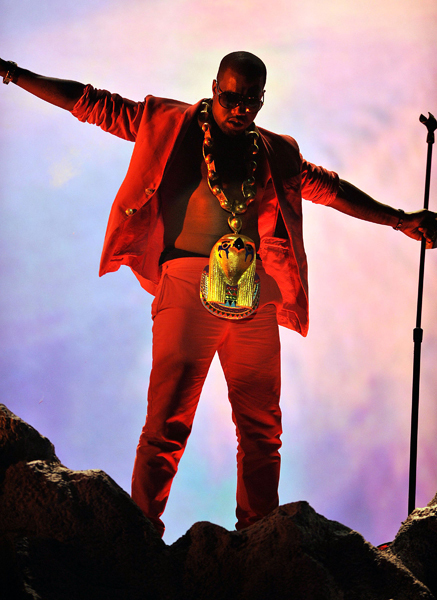 The period prior to MBDTF was Kanye’s most prolific as a guest AND lead artist; 33 tracks had Kanye’s name attached as a performer. Contrast this figure with 808s, where he locked himself in a studio learning 808 drum machines and how to use autotune. Compare again to The College Dropout, where his rap status was almost non-existent. The new Kanye was re-engaging with the old Kanye. A record 21 beats Kanye produced for other artists prior to MBDTF featured Kanye the Rapper. Kanye was either using his beats as currency to pick up more features, or he couldn’t quite part with each track without spitting something over it. Of the 33 songs Kanye either guested on or released as lead artist prior to My Beautiful Dark Twisted Fantasy, not a single one featured Kanye only performing a hook. Only 17% of the words he delivered in this period were devoted to hooks, the 2nd lowest of any album cycle. 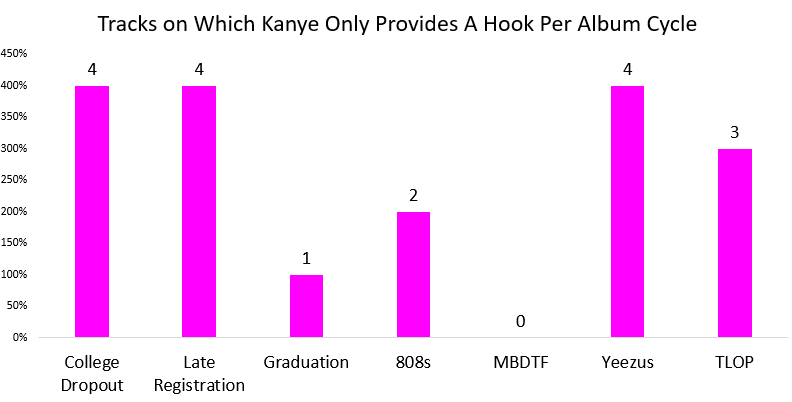 GOOD Fridays played an essential role in these statistics (and Kanye’s comeback), a series in which Kanye released a free song every Friday, starting 10 weeks prior to the album. Ye used his newly created Twitter account to promote it, and the tracks were stacked with curious features (Justin Bieber and Raekwon on the same track, Jay-Z over the “Power” beat, Pete Rock and Jay-Z linking for the first time) and pure rap verses from Kanye. The initiative was successful, and reminded fans Kanye is an artist, above all else. Hopping up on stage and stealing a moment from a budding pop heavyweight like Taylor Swift may have created this need to, for the first (and thus far only) time in his career, pander to the pop world. The juxtaposition of Kanye reconnecting with fans via bars and rap verses and courting the audience he alienated with pop music is flawed and full of contradictions. So, it’s Kanye. And Kanye didn’t just pop down the street for some features. He hopped on tracks from Justin Bieber (“Runaway Love”), Katy Perry (“E.T.”), La Roux (“In For The Kill Remix”), Mr. Hudson (“Anyone But Him”), JYJ (“Ayy Girl”) and alongside 84 other artists for “We Are The World 25 For Haiti”. 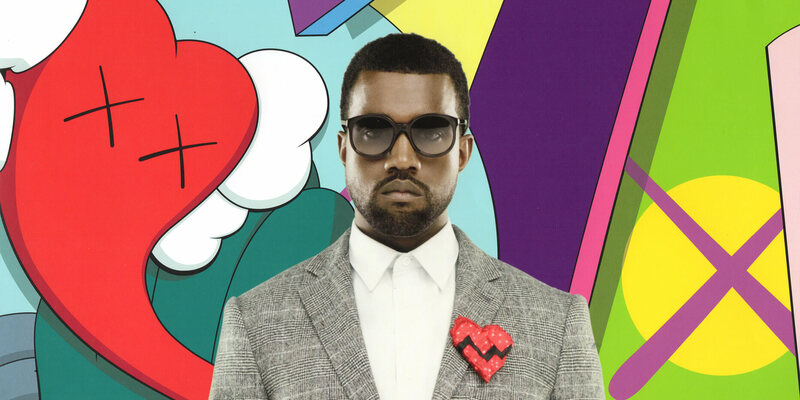 808s & Heartbreak was Kanye’s biggest departure from the technique that launched and sustained his career. Sampling (as the above graph shows) came to define Kanye’s career as a producer and it provided a safe place to retreat to when crafting this album. Yeezy’s only three number 1 singles as a lead artist (“Stronger”, “Gold Digger”, “Slow Jamz”) all featured heavy sampling. MBDTF isn’t Ye’s most sample-based album, in fact, it’s the third lowest number, but the change from 808s is immense. 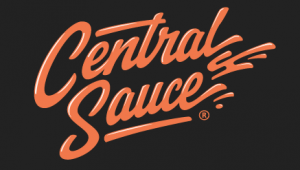 90s and 2000s rap protocol demanded an artist release a radio single and a street single prior to an album dropping, to capture both audiences. “Power” dropped 5 months prior to the album, but “Monster” (street) and “Runaway” (radio) were both released within a month of the album. This album is seen as one of the best pure hip-hop albums of all time, a fully realized vision, a culmination of every Kanye Era and style. It hurt when Kanye seemed to slightly dismiss it in a 2013 interview with The New York Times; the idea of this album not being organic, being somewhat forced, could detract from its impact. 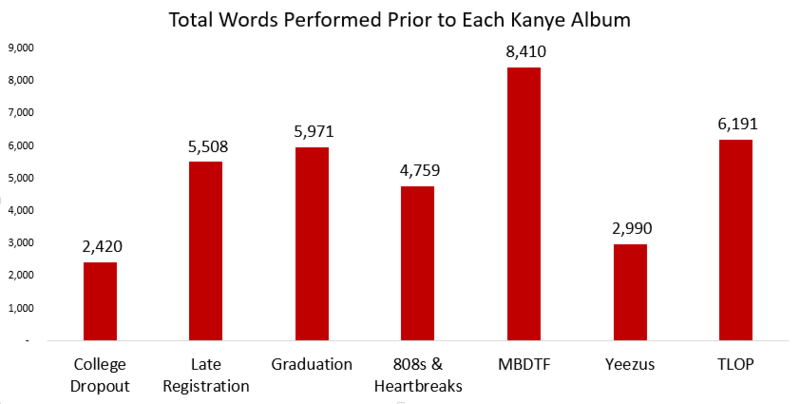 This “forced” feeling is shown in the data; Kanye worked really, really hard prior to the release of the album, spitting more bars, releasing more songs, featuring on more tracks. 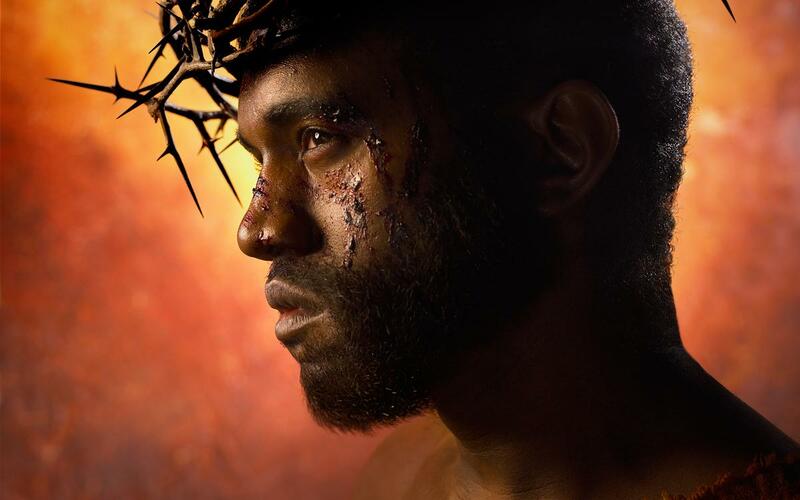 He gave the album every opportunity to enter the rhetoric as an all-time great hip hop album, to replenish his fan-base and reconnect with those he turned away with 808s & Heartbreak and the Taylor Swift incident. He managed to straddle the line between pop and rap, picking up the most pop features of his career prior to an album, while avoiding hooks on his guest spots and focusing on bars, verses, rap. The result is in the legacy. 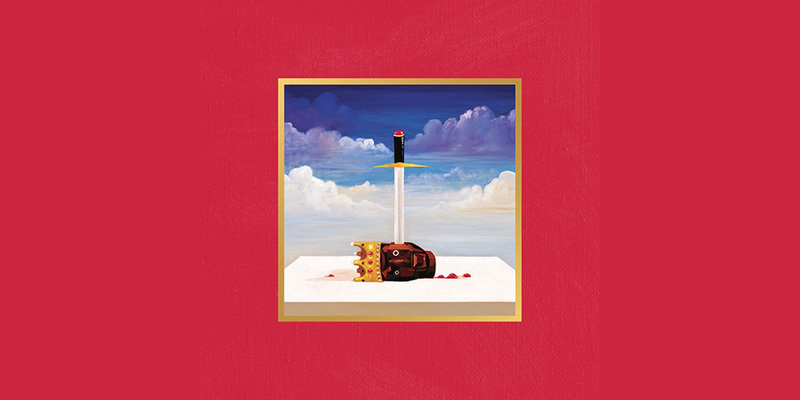 My Beautiful Dark Twisted Fantasy is regularly mentioned among the great rap albums of all time: it’s often cited as Kanye’s greatest achievement and it remains a halcyon period in Kanye’s career, where he seemingly threw off the shackle of controversy to focus intently on an album. A pure album – an album free from rants, scrutiny, the extraneous factors that have come to define his career in the past 5 years.